There are so many complex interactions in Nature that we know so little about. Before emails, corporate-structured universities and funding cycles, ecologists spent a lot more time in nature, observing patterns that inspired questions to answer. Now that we spend more time indoors than out, how many ecological puzzles remain unsolved? For the last few months I’ve been sampling insects in apple orchards for an ecosystem services project I’m working on. As a habitat comparison, I also collect insects in patches of native vegetation next to the orchards. At one of our sites, a biodynamic orchard in northern Victoria, the native vegetation is a stand of mixed Eucalyptus, Acacia and Dodonaea species that were planted on the farm some years ago. Dodonaea (hop bush) is the largest genus in the soapberry family (Sapindaceae). It is predominantly Australian and a bit of a black sheep in the family. Many hop bushes prefer dry, open woodland; most other Sapindaceae species are found in dense tropical rainforests. Hop bushes produce small winged seed capsules; tropical Sapindaceae usually produce large fleshy fruits, like the lychee, longan, tamarind and rambutan. Hop bushes are wind pollinated; other Sapindaceae use extravagant, perfumed flowers to attract bird and insect pollinators. On my first sampling trip in September last year, I noticed that the hop bushes at our site had some interesting growths. From a distance, it looked like the bushes had been decked in baubles, but only on one section of the tree. Dodonaea weren’t the focus of my work, so I assumed the baubles were some kind of mistletoe and forgot about them. I was in the field again this week and took a closer look. I tore one of the balls open and a tiny fly darted away before I could catch it. It looked like a midge…perhaps these were galls, and I just saw the midge culprit making its escape! 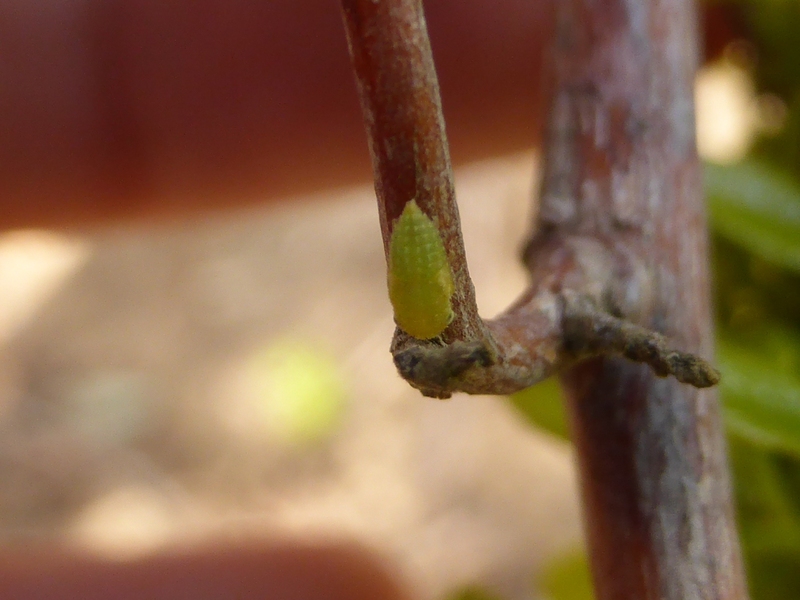 In 1995, a new species of gall midge was discovered on hop bushes in South Australia, but the description of its galls didn’t match what I saw. 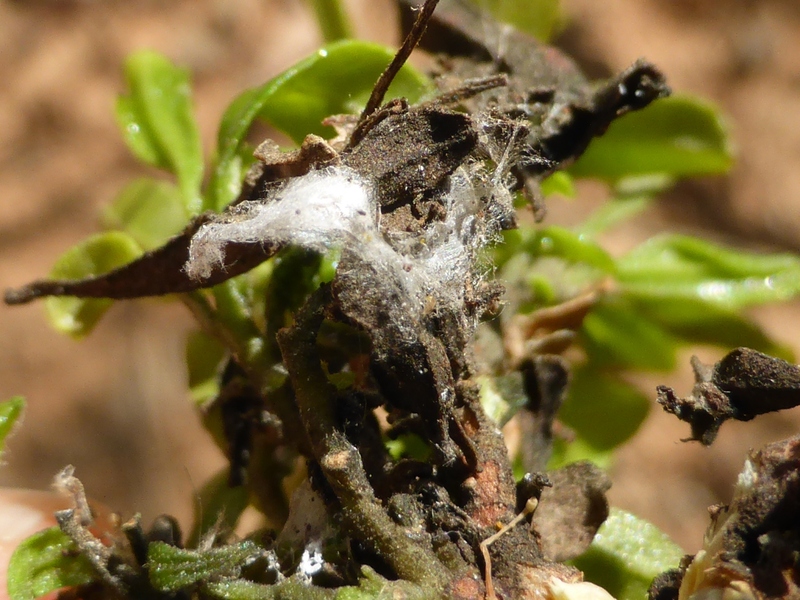 Inside the cluster of deformed foliage were mats of silky webbing, often a sign of mite activity (although I didn’t see any running about). And then I caught this little leafhopper nymph trying a sneaky getaway. Curious, I bagged a couple of baubles to take home. I soaked one bauble in water to see what floated out. The heady scent of beer and black tea rising from the brew was remarkably pleasant – I understood why early European Australians used the plant as a hops substitute in beer and bread. Soaking yielded a couple of ants and a darkling beetle. Ants were everywhere at the site, and darkling beetles are a common find in decaying wood, so I was still no closer to an explanation. I tore the second bauble apart carefully. I found a tiny wingless cockroach and an empty white cocoon stuck to a leaf with webbing. Again, the wood at the centre of the tangled bauble was covered with fine webbing only visible under a microscope. There aren’t a lot of published scientific studies on hop bush ecology. Why do we so often assume that ‘common’ species have no secrets? 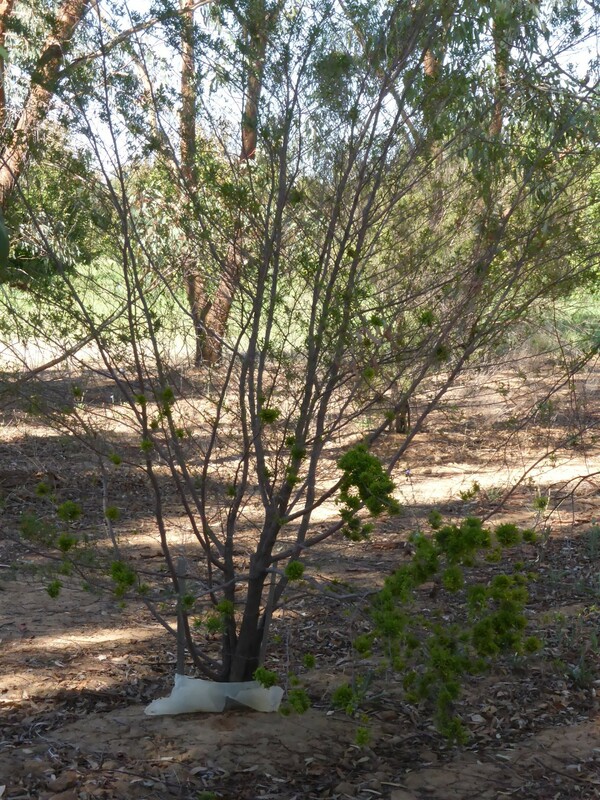 A lot of work has been done on the chemical and medicinal qualities of Dodonaea species and hop bushes are mentioned regularly in passing in ecological studies of arid woodlands, usually in descriptions of vegetation composition. 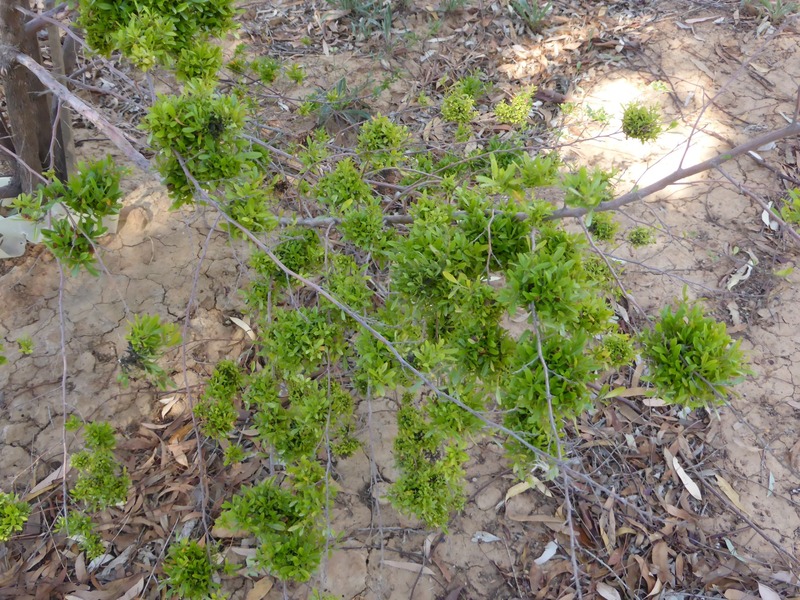 Hop bushes rely on ants for seed dispersal, an advantageous mutualism for a woody plant aiming to conquer arid grasslands, while fire and soil factors affect germination rates. Its hardiness has made it a bane of farmers and pastoralists since Europeans arrived (and disrupted the fire cycles that kept hop bush in check). 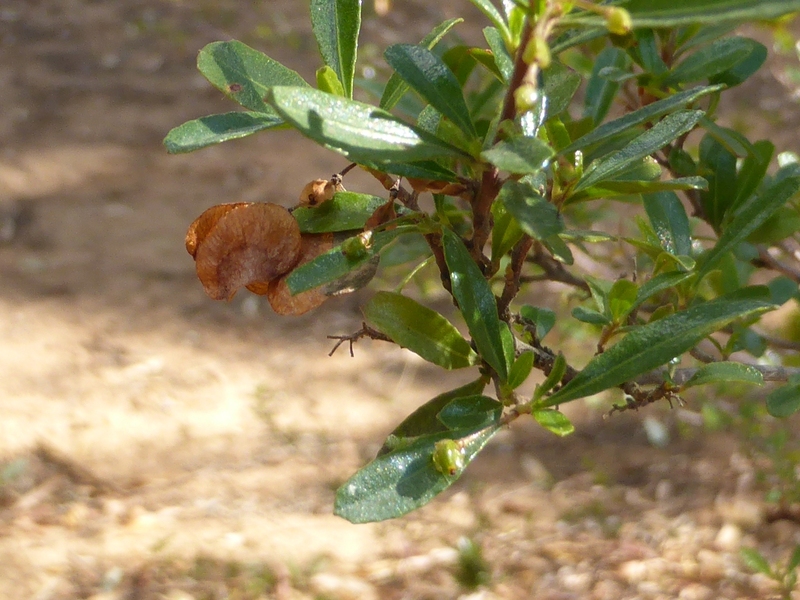 Studies on pests or diseases of Dodonaea in Australia are hard to find; but I was convinced the baubles were insect-related and I finally found a clue. Fasciation is an abnormality in plants where the growing tip produces contorted and deformed tissue around itself, instead of growing outwards/upwards as normal (see Harvey Perkins’ blog for some great pictures of casuarina fasciation at Red Hill, near Canberra). There are various versions of the deformity, with various causes, including genetic mutation, fungi, phytoplasma, insect or mistletoe parasitism. However, unlike fasciation, these hop bush baubles were not curling at the tips of branches and multiple baubles hung along the length of one branch. A more likely diagnosis: witches’ brooms, a symptom of the mysterious phytoplasmal disease ‘Dodonaea yellows’. Witches’ brooms are compact, abnormal growths of leaves that hang from branches of the infected plant. The leaves on the broom may look similar, but slightly different in colour or shape, to the leaves on the rest of the plant, so they can be easily confused with a mimic mistletoe (as I did when I first saw them). They can be found on a huge variety of plants, including pine, maple and willow trees. Historically, many cultures blamed witchcraft for natural occurrences that couldn’t be explained. Witches’ brooms, or hexenbesen (German, literally ‘bewitched twigs’), were one of these inexplicable phenomena. But the insalubrious connotations didn’t stop people putting them to practical use – they were pretty handy for sweeping after all. Today, witches’ brooms can hold a very modern curse. Fungal-spread brooms cause severe economic losses in Theobroma cacao, one of our favourite crops. The disease decimated Brazil’s cocoa industry in the 1980s-1990s. It is not a new pathogen; in fact, it is believed to have co-evolved with T. cacao in the region. But deforestation and the expansion of monoculture farming gave it the blank slate it needed to wreak economic havoc. Traditional diversified shade cacao farms are more resilient to pest and disease outbreaks, and returning to this style of farming is essential to sustainability in the cocoa industry. But witches’ brooms also have a good side – they are great little conservation hubs. Larger brooms in northern hemisphere forest trees provide homes for squirrels and birds. And the myriad nooks and crannies inside even the smallest of brooms are perfect for supporting high insect diversity and attracting insectivorous birds. So who bewitched our hop bushes? 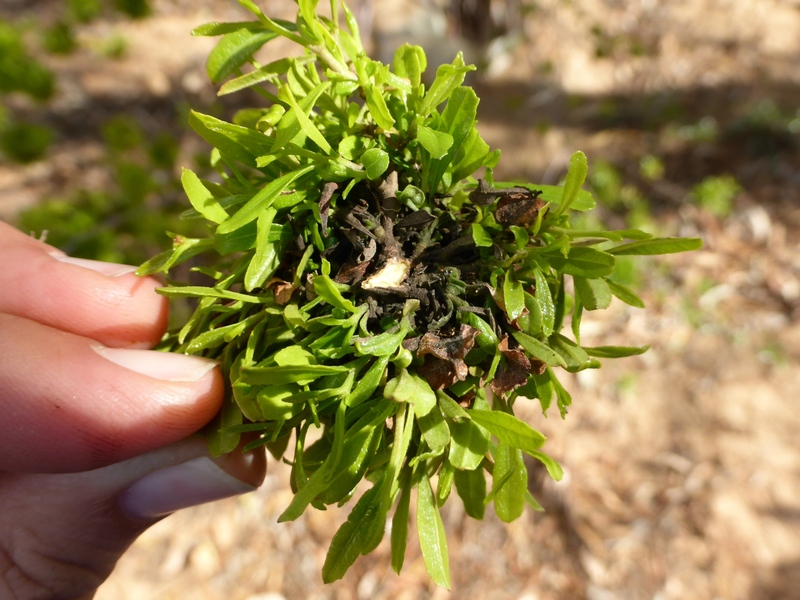 The midge, leafhopper and mite are all likely culprits for transmitting the fungal spores or phytoplasma that could cause broom growth. But was it a combined attack, or did one simply create a niche for the others to use? Were the darkling beetle and wingless cockroach necessary accomplices, or innocent opportunists who came to feed on the decaying wood inside the broom? And what conditions in the soil, patch or landscape paved the way for the disease to spread through the Dodonaea trees? May these interactions, and so many other unanswered ecological questions, receive the contemplation they deserve. 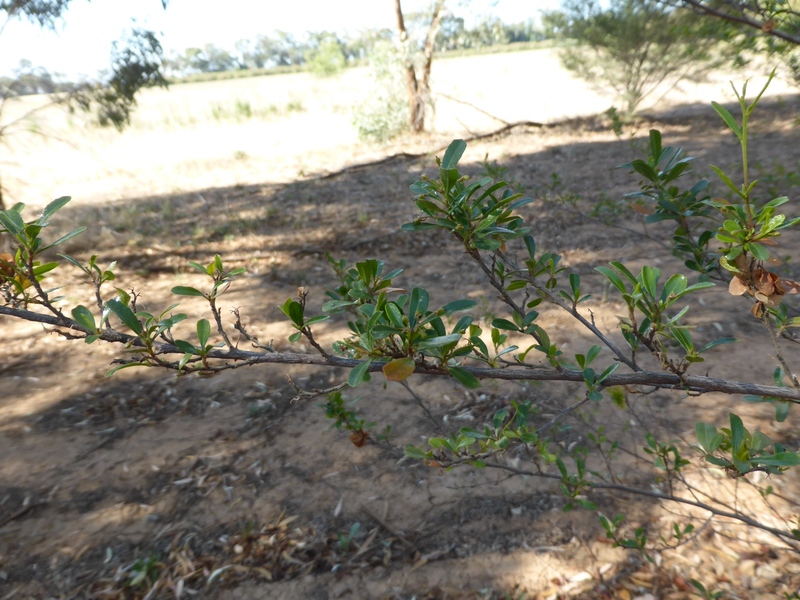 This is particularly interesting to me as many years ago my entomologist partner was researching native biological control agents for woody “weeds” in this case, scale in budda bush and mites in narrow leaf hop bush. We lived on an isolated property for 4 years in western NSW during this time with no mobile phone coverage and a poor or non-existent internet connection. So it was very much old-fashioned field research! I certainly can see the benefit in spending a lot of time in the field observing and asking questions. A curious local landowner had been noticing the plants dying over some time and she actually initiated the research. Funds ran out to continue the project though, as is so often the case. Thanks Jane. Yes, the funding story is still the same. But ‘old-fashioned field research’ was how science worked before the internet – ironically, what we’ve gained in communication, information and efficiency we’ve lost in connection to the real world! Do you remember anything your partner found with mites? I was surprised I couldn’t find any, as the webbing was quite prominent. I’ll try to get back to you with a link and some pictures to the original research in the next day or so. It was over 16 years ago that he stopped the project. We took many, many pictures! Very nice piece of nature writing! Before we had to fight the green-washing of non-life life impactors. With internet turning us into gadgets, what we will, one day, need to fight as well is the system-washing of life itself! You are right : “May these interactions, and so many other unanswered ecological questions, receive the contemplation they deserve”. Thanks! I’ll have a look. They were on my list of potential culprits but I haven’t found anything so far. As soon as you mentioned a leafhopper I thought “phytoplasma” as I have worked extensively on papaya diseases and papaya dieback (also known as yellowing in other tropical crops) is caused by a Candidatus Phytoplasma australiense whose vector is a leafhopper. When sugar cane is harvested, hoppers move into adjacent papaya crops. Its not the preferred food but it is the only green thing around at that time. There is very little published info on it as the phytoplasma is difficult to isolate but there is more than enough anecdotal evidence to make the connection. Thanks! Yes, I got excited when I saw the leafhopper! I could only find 1 study on the Dodonaea yellows from Hawaii & he didn’t get as far as the causal organism but seemed sure it was a virus & phytoplasma combination. Interesting, as you say, most of the limited work on these infections is from economically-important crops, much less info on native (non-crop) spp.